It has taken me some time to return to Wild by Cheryl Strayed, the first book to be featured as part of Oprah's Book Club 2.0. I bought the e-book version because I wanted to try out the highlight feature, share the parts I liked on Twitter with my e-reader, and see what passages the talk show Queen and all the other readers enjoyed. I also wanted to know if any of these aspects added anything to the reading experience, and if it was any threat to the traditional in-person book club. Wild is the true story of Cheryl Strayed who at age 26 hikes the Pacific Crest Trail alone. Yes, alone. She and her 50-lb monster backpack trek 1,000 miles up the Pacific Coast, as Strayed comes to terms with some major life issues. The middle child of a single mother, Cheryl and her siblings are abandoned by their temperamental father. Although he leaves his young family in financial dire straits, the mother no longer has to bear the brunt of his anger. The single parent family moves around a lot, forever in a quest for cheaper rent, but the mother does her best to create a stable family environment. Mom eventually meets a nice man who is a suitable stand-in for a father, but the shortage of funds is a recurring issue. Strayed looks for stability early in life and marries at just 19. She then has the security to move on to college, but can't control her wandering eye. Then her mother is unexpectedly diagnosed with lung cancer, just as Strayed is in the final semester of her senior year. Doctors at the Mayo clinic give her a year to live, but her mother dies much sooner. My tweet w/ link to Kindle promo page sent from my Kindle Touch. It is the death of Cheryl's mother that undermines her already shaky existence. After her mother's demise, her stepfather quickly moves on to a new partner, while her siblings scatter. In addition to her grief and zero family support, her marriage falls apart, and she drops out of college. Her downward spiral leads her to a college-educated bad boy who introduces her to hard drugs, which ease her pain. But after a harrowing experience with a drug addict, she decides that this is not what she wants to become. Her challenging trek alone on the Pacific Crest Trail is her own attempt to come to terms with her past and turn her life around. A passage I commented on in my tweet on the Kindle promo page. My feelings towards Wild changed dramatically from the first to second read. After perusing all the rave reviews, I was expecting something more, a by-product of excessive hype. I found the tiny stylistic errors annoying, and I loathed the repeated reference to Snapple. I made a snippy reference to that effect in a Twitter update (which obviously never made it to the book's promotional page). I don't mind trade names of long-disappeared products that offer a cultural reference, but I loathe product placement. Other than these minor points, it was a good read, but one you definitely have to be in the mood for. Strayed can take you to some dark places and make you squirm. I found her description of the appeal of hard drugs particularly chilling. I read Wild for the second time while I was on holiday in California. When I saw the mountains she had actually hiked, I had a better appreciation of the feat she had actually accomplished. I also felt the extreme vulnerability of this first-person narrative the second time through. Strayed brilliantly captures what it is like to grow up in a financially precarious home and offers some keen insight into dealing with loss. But more than anything, this narrative reflects the reality of hundreds of thousands of young women who are raised by struggling, well-intentioned single mothers. Readers, both male and female, will readily identify with Strayed, but some may find the rawness of Wild hard to stomach at times. And according to what I saw posted on Twitter, most people found the book inspirational too. Did I find that their comments enhanced the reading of the book? Not really. Obviously, there isn't the same degree of connection as with members of an in-person book club. No real surprise there. Oprah's highlighted comments also meant much more in the second reading. I found them slightly distracting the first time through. But I do like the highlight feature and the tally of how many people actually liked a particular passage. The highlighter also serves as a great note-taking device for writing reviews, and I think that all bibliophiles enjoy sharing their favourite passages on Twitter. I know that I do. Book Club 2.0: Can It Replace the In-Person Book Club? Not for now, but I think that we can expect to see plenty of improvements and changes to the format, which is still in its infancy. One thing is for sure: the e-reader is one powerful promotional tool that has readers promoting and selling books for free. As I said in my previous post, the e-book/e-reader combo is a major boon for the publishing industry. 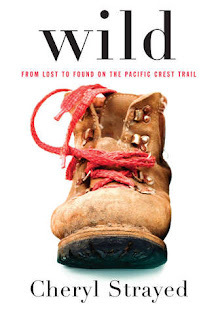 : Review of Wild by Cheryl StrayedTweet this! I wanted to love this book. I wanted to love this author. I wanted to walk beside this woman on her journey of self-discovery and live the emotions she lived, and feel the transformation she was bound to undergo. I wanted to feel her boots on my feet, taste her fears in my mouth, and nod in understanding at each new revelation that came her way. What I found is that I couldn't keep focussed on the story for more than a paragraph at a time. I read, then skimmed, read, then skimmed, hoping to find the well-crafted story I had read so much about. This is one of the best books I've read for a long time, and I read a lot. This is a book I will pass down to my daughter when she is a young woman. The book a very emotional read for me. Strayed does not hold back and I appreciated her honesty and depth. LACMA: Moms Need Fun Too!